I went photo hunting and then I went into Starbucks when I saw the early evening light striking the buildings. 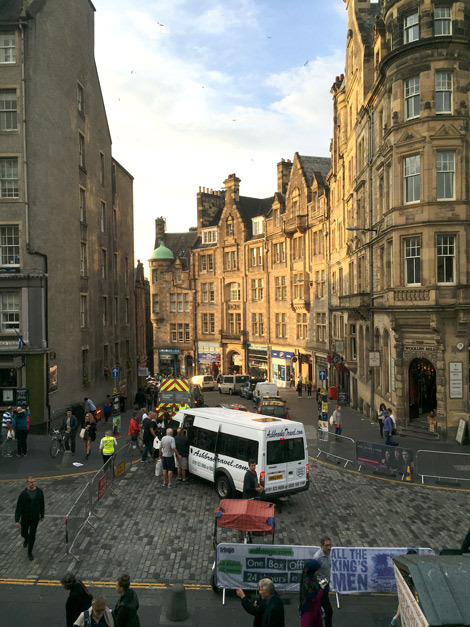 Because Edinburgh is so far north (55˚) the light slants in from an angle even in the summer. This raking light is one of the reasons that Scotland attracts so many photographers in early autumn when the landscape is lit by this gorgeous light. Shot with my iPhone 6. I don’t know why the image is fuzzy here – anyone know what WordPress does? Click the photo and click again and you will see it big and sharp. It sure has a lovely light! I can’t see the blur.